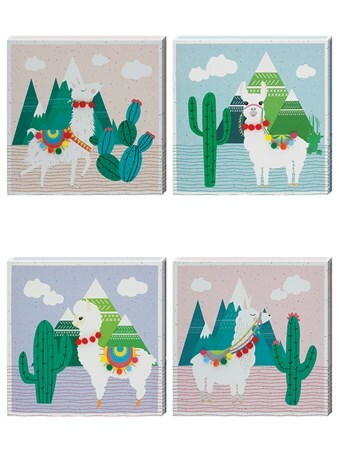 Make your way across the harsh dry deserts towards the mountains, and you might be lucky enough to come across the fanciest Llama you've ever seen! Chilling out next to a prickly cactus, this quirky creature has made a bold improvement to the usual rug for his back. Featuring actual pom poms, this 3D canvas print is beautifully simple with its shapes and lightly decorated with pattern and colour! 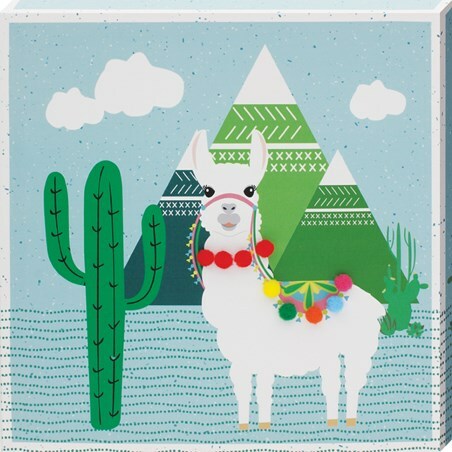 Could your room do with a little Llama spruce up? High quality, framed Cacti Llama I, 3D canvas print with a bespoke frame by our custom framing service.